Despite significant efforts towards the reform and modernization of its arbitration laws, arbitration in Bosnia and Herzegovina remains a rather underdeveloped and unpopular dispute resolution mechanism. 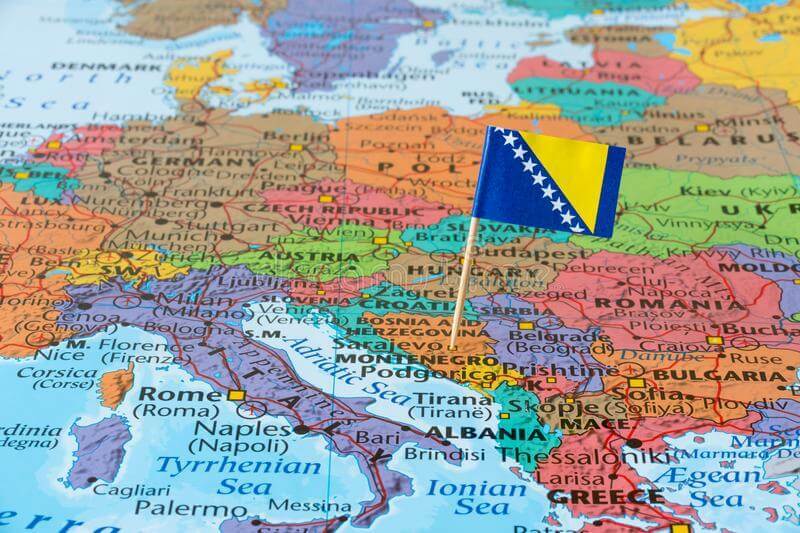 Bosnia and Herzegovina was established as an independent State after the Balkan war of the 1990’s. The General Framework Agreement for Peace in Bosnia and Herzegovina, also known as the Dayton Agreement, was signed in 1995 and serves as the country’s constitution today. Bosnia and Herzegovina consists of two different entities– the Federation of Bosnia and Herzegovina and the Republic of Srpska. In addition, there is a separate Brčko District, a self-governing administrative unit under the sovereignty of Bosnia and Herzegovina. These entities each have legal authority to legislate on matters of civil procedure. Accordingly, there are three separate acts governing civil procedure in Bosnia and Herzegovina: the Civil Procedure Act of the Federation of Bosnia and Herzegovina 2003, the Civil Procedure Act of the Republic of Srpska 2003 and the Civil Procedure Act of the Brčko District 2003. Arbitration provisions are spread between three difference civil codes: the Federation Civil Procedure Act (Articles 434–453), the Republic of Srpska Civil Procedure Act (Articles 434–453) and the District Civil Procedure Act (Articles 380–399). Fortunately, arbitration provisions in each of these acts are essentially the same, and all nineteen articles are based on the UNCITRAL Model law, which has been adopted by nearly one-half of the world’s nations. The Federation Civil Procedure Act classifies arbitration as a “special procedure” placing it alongside other types of “special procedures” such as employment disputes and small claims. It does not expressly state general principles governing arbitral proceedings. Nevertheless, some general principles may be induced from general principles codified in the Federation Civil Procedure Act. These include the principle of parties’ autonomy, as provided in Article 443 of the Federation Civil Procedure Act, allowing parties to agree on applicable rules of arbitral procedure. As the provisions on arbitration are contained in the Federation Civil Procedure Act, it is generally presumed that general principles of civil procedure codified in Chapter I of the Federation Civil Procedure Act, such as for example due process, apply to arbitral proceedings as well. Articles 434-453 of the Federation Civil Procedure Act further defines all basic elements of an arbitration proceeding: arbitrability, formal validity of an arbitration agreement, constitution of an arbitral tribunal, challenge of an arbitrator, the general power of the tribunal and the form and legal effects of an arbitral award. Chapter V of the Federation Civil Procedure Act contains provisions on arbitral proceedings and the procedure for the setting aside of an arbitral award. Thus, only foreign awards that are considered as commercial under the national law of the Republic of Bosnia and Herzegovina may be enforced through the Convention. The legal procedure for the recognition and enforcement of foreign awards is codified in detail in Chapter 4 of the Conflict of Laws Act. The only known arbitral institution which currently exists in Bosnia and Herzegovina today is the Arbitration Court, attached to the Foreign Chamber of Commerce of Bosnia and Herzegovina. The Arbitration Court has jurisdiction to settle disputes in commercial, property and other legal matters, as defined in its statute. It has its own Rules on Organization and Work of the Arbitration Court, which entered into force in 2003. The Rules define the Arbitration Court as an independent court competent for dispute settlement through arbitration. Its competence encompasses both domestic and international disputes, in which case at least one party has to have a seat outside of Bosnia and Herzegovina. It is unclear how many international arbitrations the Foreign Chamber of Commerce administrates annually. Overall, the status of international arbitration in Bosnia remains unsatisfactory. While significant efforts have been made to develop arbitration, and a number of initiatives and arbitration associations which advocate for reform have been established, such as for example the Association Arbitri, arbitration is far from becoming a popular dispute resolution mechanism in Bosnia and Herzegovina.